Kevin Campbell was a JV basketball coach at West Springfield High School. He taught the game the right way and cared very much about each and everyone of his players. Kevin was the most inspirational person you would ever meet. He had a bond with the kids that no other person was able to achieve. Unfortunately early morning on Sunday September 2nd Kevin Campbell was killed. He was at a party in Hartford CT when a man walked in and shot him. He died at the age of 34. Coach Campbell was an inspiration to the children that he coached and even to the people who weren’t on the team. 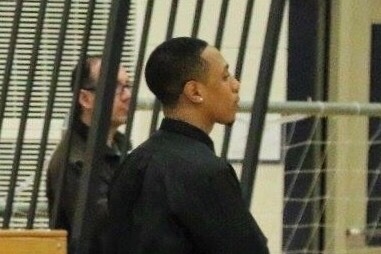 Kevin Campbell worked three jobs and still found the time to be able to coach the JV basketball team. He worked at the High School with the Special Education students so that he could be closer to his players during the off season. Campbell will forever be in the hearts of the people that know him because of the impact he has left on the community. We are half way to our goal. Thank you to all of those that have donated. It is greatly appreciated.